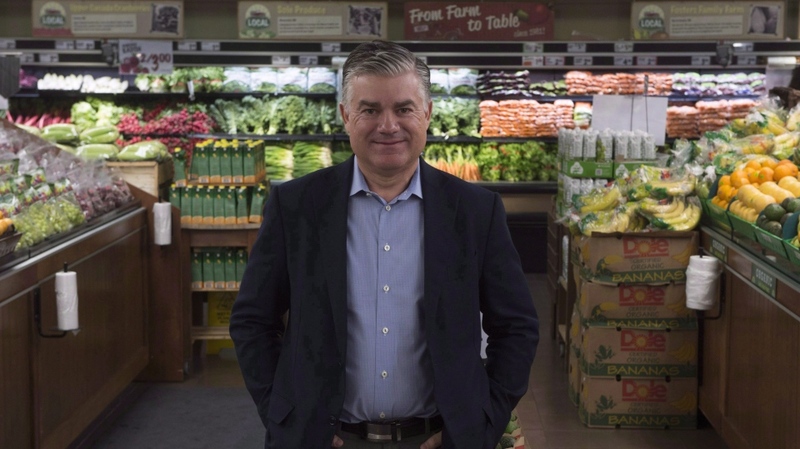 TORONTO -- The parent company of grocery chain Sobeys Inc. has signed a deal to acquire food retailer Farm Boy in a bid to expand its reach in Ontario, particularly in the greater Toronto area. Empire Co. Ltd.'s president and chief executive Michael Medline said it aims to "turbocharge" the Ottawa-based chain -- which it values at $800-million -- and double its business and footprint from its current base of 26 stores across the province over the next five years. This acceleration of growth would be done through a mix of new sites and conversions of some existing Sobey's locations, the company said. "This is a jewel of an asset," Medline told analysts on a call Monday discussing the transaction. "They have a proven business model with an established brand... and a significant runway for growth." Empire's chief financial officer Michael Vels said the door was open to expand Farm Boy into other markets beyond Ontario, but there was no time frame given the amount of "upside" in Ontario. Farm Boy opened its first grocery store in Cornwall in 1981, and offers fresh foods and its own private-label grocery products, a format which has drawn some comparisons to popular U.S. food retail chain Trader Joe's. The acquisition comes as competition in the grocery space continues to heighten, with Amazon acquiring Whole Foods Market last year. Under the deal, Farm Boy will be set up as a separate company and continue to be led by co-CEOs Jean-Louis Bellemare and Jeff York, who have both agreed to reinvest in the company in return for a 12 per cent interest of the continuing Farm Boy business. Empire says Farm Boy products will also be added to Sobeys' Ocado-based e-commerce business, an online grocery platform which will launch in 2020 in the Greater Toronto Area. Medline also assured the Ontario-based chain's customers Monday that they "would not see any changes in their Farm Boy shopping experience." "We do not want to ruin the magic of Farm Boy by trying to integrate them," he said on the conference call. However, he noted that there are some aspects of Empire, such as real estate expertise, that Farm Boy will be able to leverage. Meanwhile, Empire does not have any other "growth assets" currently in its sights, said Medline. "This was it, and this was the timing," he said. "It was clear to us that Farm Boy would be sold, and there wasn't time to waste... Our old world and new world competitors are not standing still."